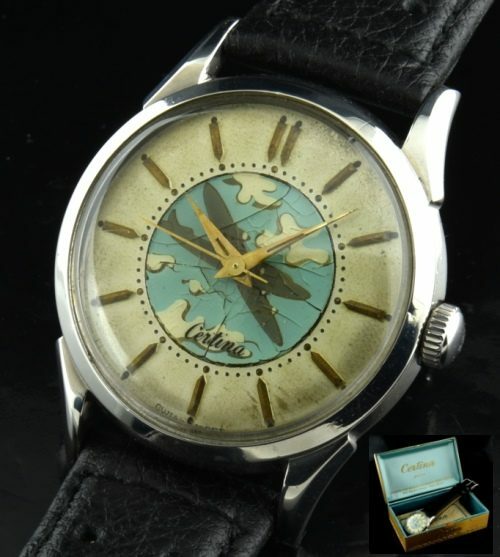 This is a very cool vintage CERTINA (American made by Illinois Watch co.) in steel measuring 34mm. and has what looks like an enamel central section depicting an airplane in the clouds. The dial is completely original. The Dauphine hands and hour markers really complete the look. This watch has a manual winding movement which has just been cleaned and is keeping accurate time. This metal box with silk and velvet insert is amazing on its own! 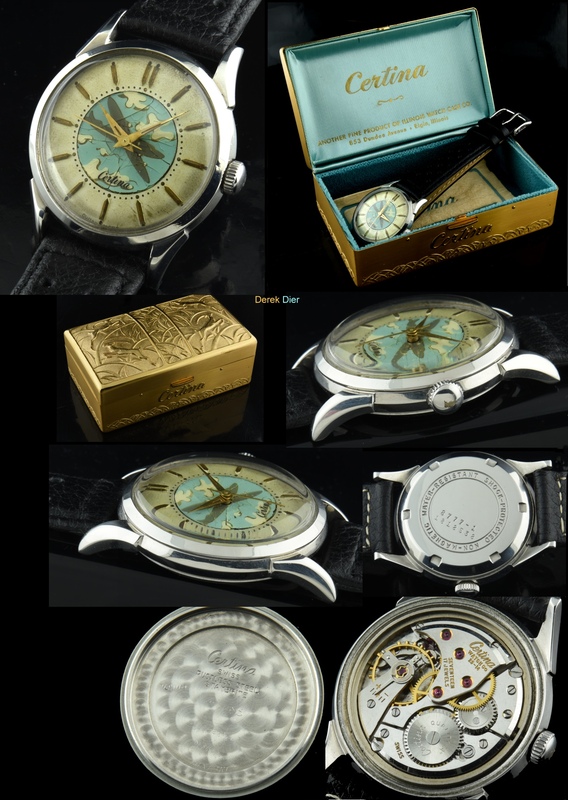 This is a very cool collector’s watch.